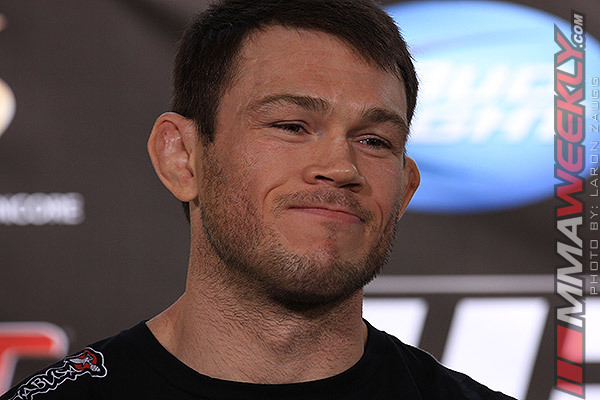 Forrest Griffin has several accolades under his fighting belt. He is known to be the original winner of the Ultimate Fighter. He is also known to be the heavyweight champion in the light heavyweight category of UFC. He is now past his active fighting career. Having hung up his fighting gloves, he is known to be working in MMA promotions in many ways. He being chosen to be an ambassador for MMA makes sense on different levels. For instance, he was known to be a gregarious fighter in his heydays. That was his reputation in the Octagon. People were punched out of him, which was a passion for him in his fighting days. After retiring from the fighting arena, he has not given up his association with the game. He helps out new fighters who move into combat fighting. He even surprises fans at different UFC events. The Buffalo Wild Wings is one of the programs that he is associated with these days. The surprise event at Buffalo Wild Wings is being talked about much among the fans. He surprised many and media reporters were interested to know whether he did that often. Griffin states that he often surprises people, but it does not turn out to be the same always. For instance, often they do not know who he is. In certain cases it is cool to meet loyal fans who are eager to get a pass to a UFC night. Many places where Griffin has been putting up surprise visits have been reaping benefits of the visits. With videos uploaded of his surprise appearances and his links to UFC, it is a great way to keep up the buzz in the social media circles. Many look forward to getting his autographs or a pass from him. Others want to click the photos with the legend and that works well for MMA as well.